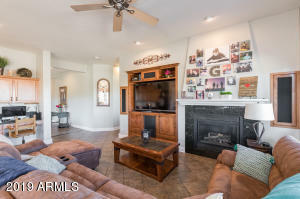 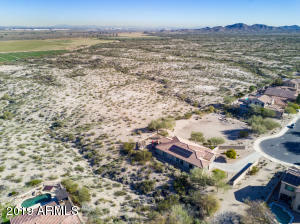 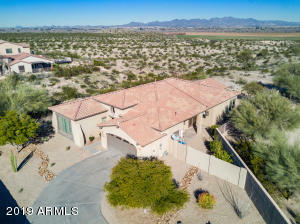 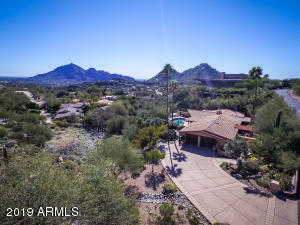 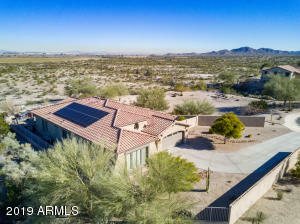 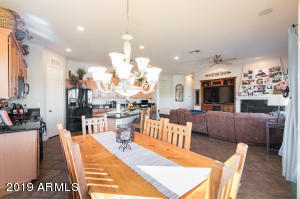 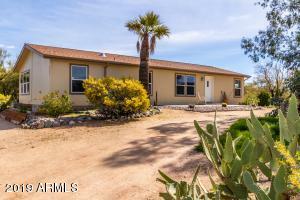 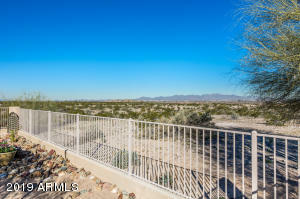 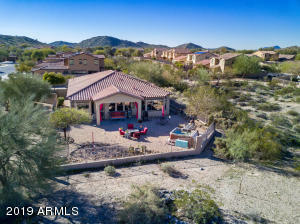 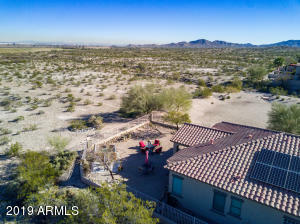 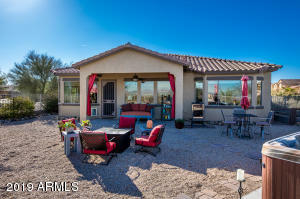 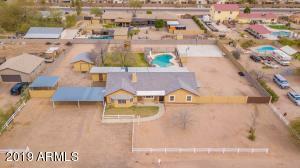 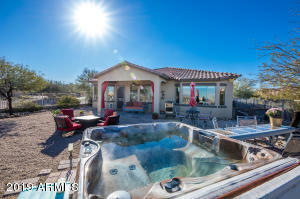 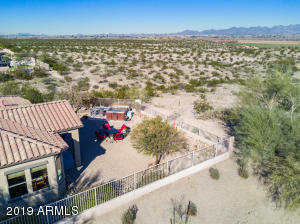 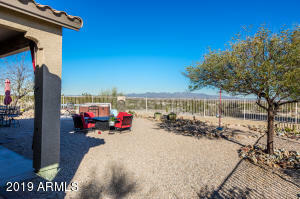 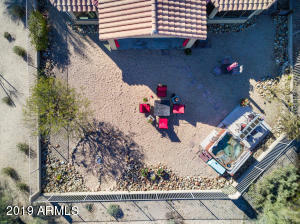 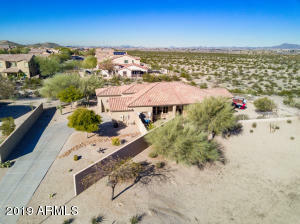 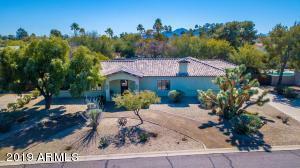 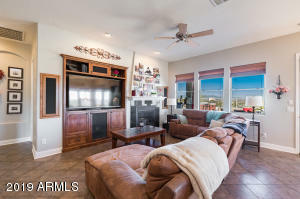 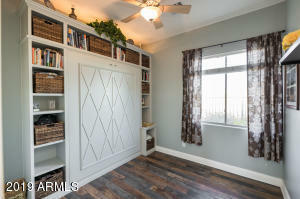 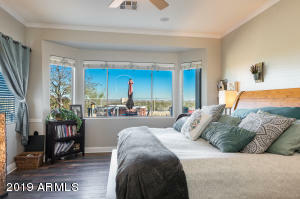 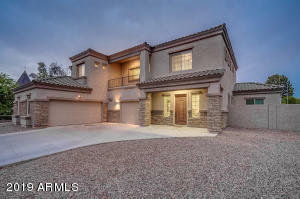 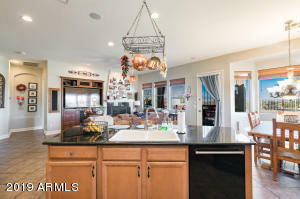 Nestled in the Estrella Mountains, this home is situated on an amazing private lot with spectacular desert & mountain views without the custom home prices. 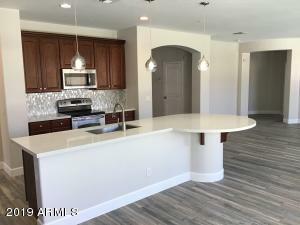 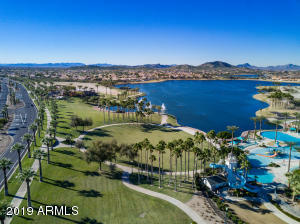 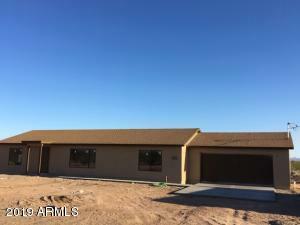 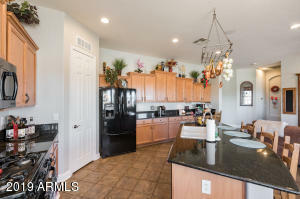 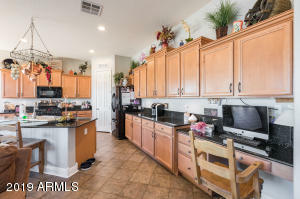 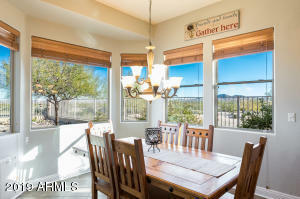 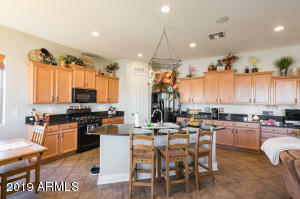 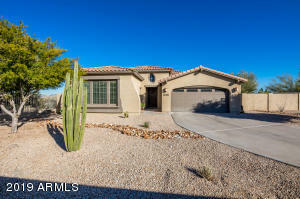 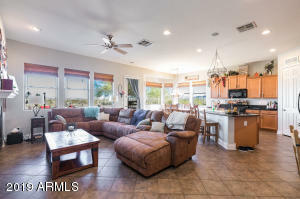 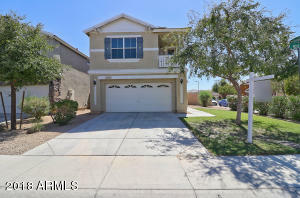 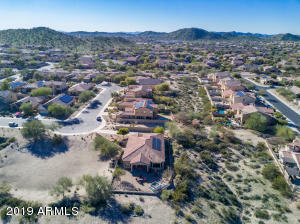 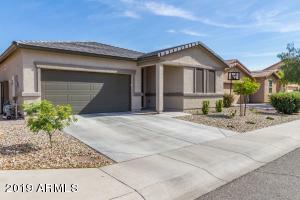 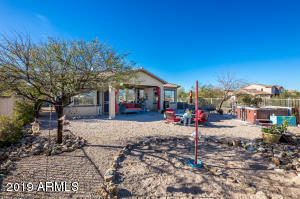 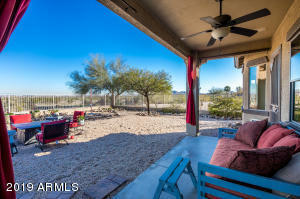 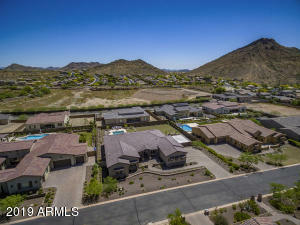 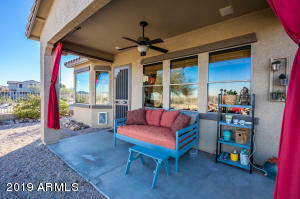 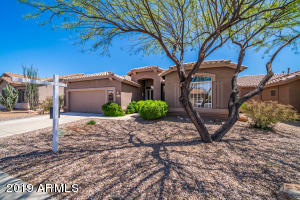 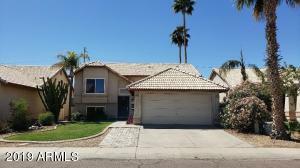 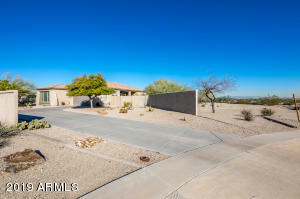 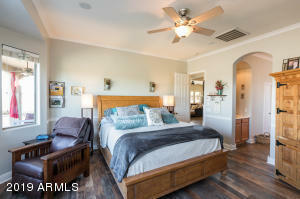 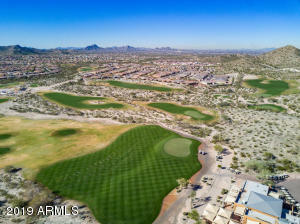 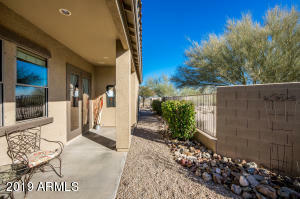 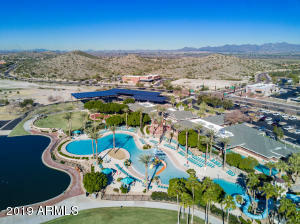 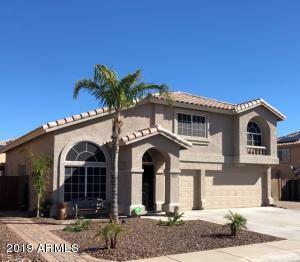 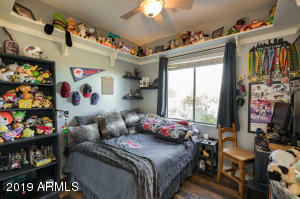 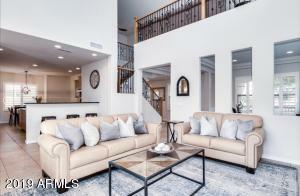 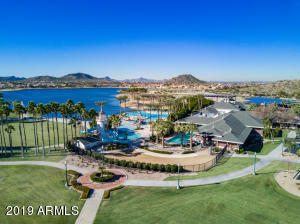 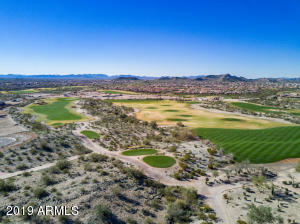 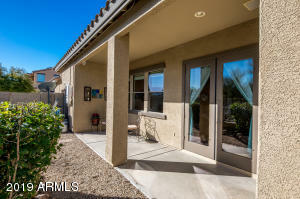 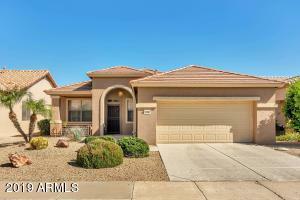 This community is a desert oasis offering hiking trails, beautiful lakes, 2 residence clubs with resort like swimming and lap pools, and Jack Nicklaus designed golf course. 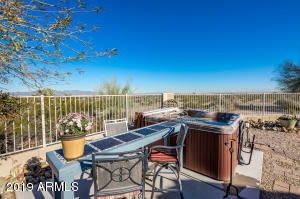 This home provides ample space for entertaining or quiet relaxation with unrestricted mountainside views. 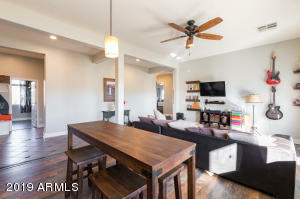 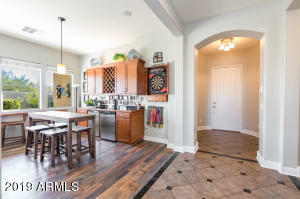 Home includes bonus rm, bar, and doors leading to side patio, as well as an inviting, open family rm with custom built-ins & fireplace. 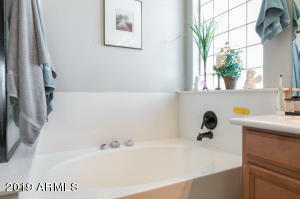 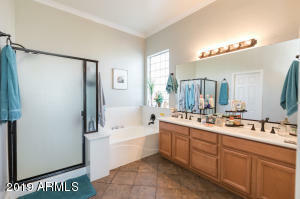 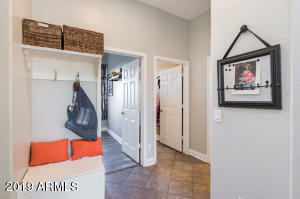 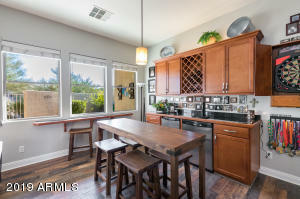 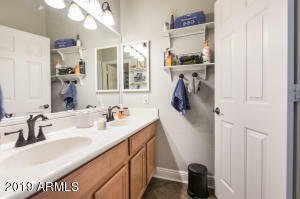 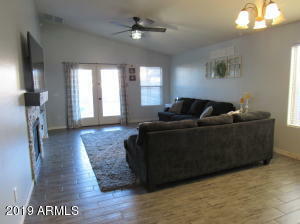 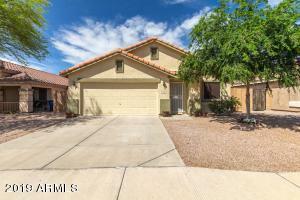 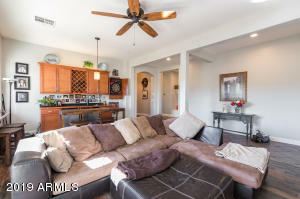 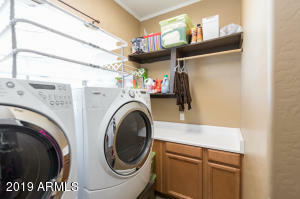 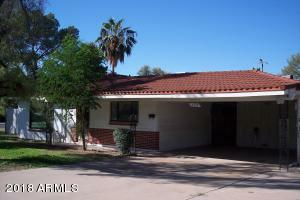 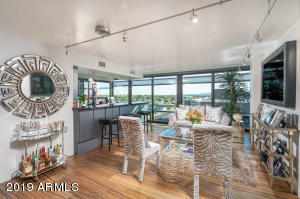 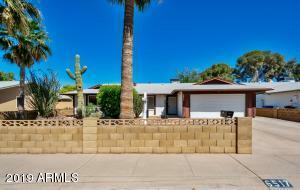 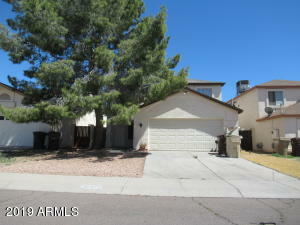 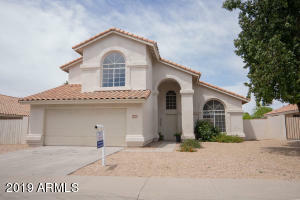 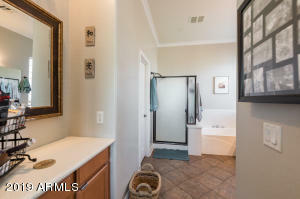 Spacious kitchen featuring gas stove, granite counters, breakfast bar, built-in desk, & walk-in pantry. 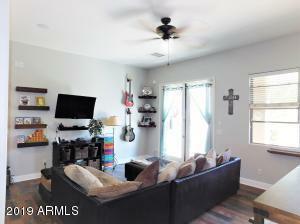 Additional features include surround sound with speakers inside & out. 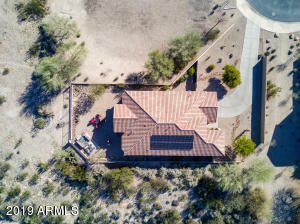 Owned solar panels with a fixed, low cost payment. 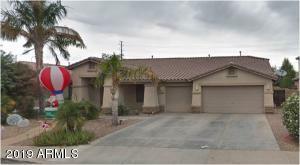 Right on Elliot, right on San Gabriel, right on 182nd Drive, left on La Mirada Drive, right on 182nd Lane. 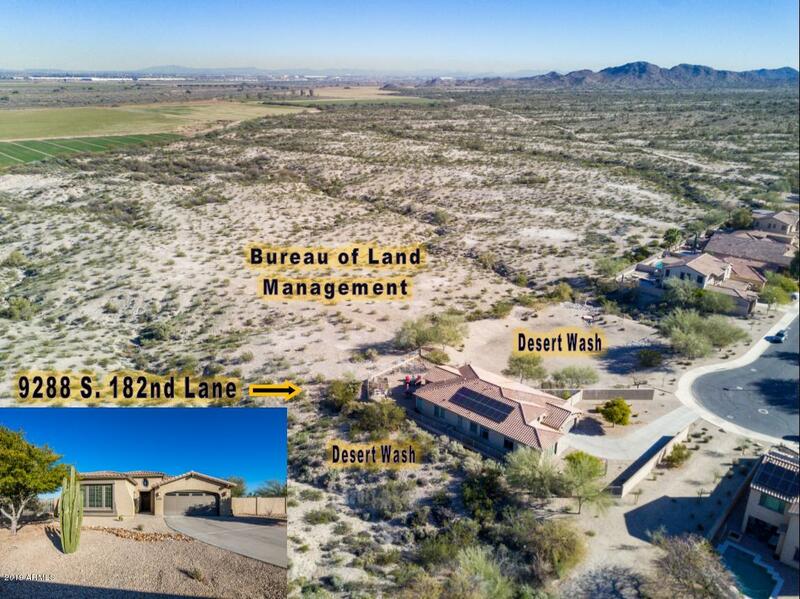 Home located at corner of 182nd Lane and Paseo Way.